Here's a challenge for today: We'll try hard to limit all the puns. Things may seem fishy as you read this rewatch, but just know that the struggle is real. Let's sea how things go! Buffy the Vampire Slayer Season 2 Episode 20 is the root of the cause. The fish puns are more interesting than the Monster of the Week adventure itself. Based on my rewatch habits, this one simply didn't hook me. Buffy the Vampire Slayer Season 2 Episode 20 introduced another complicated boy into Buffy's life. He may have only lasted one episode, but he was enough to leave his mark before swimming away. After Buffy the Vampire Slayer Season 2 Episode 5, we didn't need to meet another self-entitled and privileged guy forcing his will on Buffy. Cameron had all the makings of the "good guy was actually bad" motif. He was too nice, too flirtatious, and there was something off about him that screamed bad news before he made his inappropriate move. Though, Buffy allowing herself to be pursued by Cameron was a big departure from what we saw on Buffy the Vampire Slayer Season 2 Episode 19. Her experiences with the ghosts, and letting go of Angelus, must have given her the push to date other guys. It's a shame it was Cameron, but kudos to her for trying. 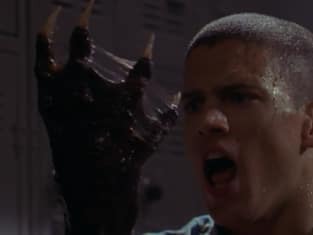 The scene of Dodd transforming into the Gill Monster made no sense. He and Gage were walking down the beach together and for the split second that Dodd stood back to transform, Gage should've been able to hear it. He wasn't too far behind to not hear anything. And, based on Gage's experience, it's a painful transition that takes time and caused screaming. Gage being none the wiser felt weird to watch. A Gill Monster shed from his skin and his friend didn't see/hear him run off to change? Not buying it. Cordelia: Well, all I know is that my cheerleading squad wasted a lot of pep on losers. It's about time our school excelled at something. Willow: Hmm, you're forgetting our high mortality rate. Permalink: You're forgetting our high mortality rate. Willow being coerced to pass Gage in class is a pretty cliche plotline. We've seen this type of storyline happen before on TV, like on King of the Hill of all places. Throw in a winning team and you have a school administration ready to look the other way for a slacking player. Sure, this observation is being made in hindsight nearly 20 years from the airing of "Go Fish," and many other series have tackled this plot. A domineering administration didn't pull me in then and it didn't get me now. Part of it could be that Sunnydale High tried to set itself apart as the big school in a small town. Looking back after rewatching, it felt pretty convenient for the swim team to be their school's only success story in a while. The need to elevate the swim team members were too much of a coincidence. It's a small gripe, but one spurred on by this cliche plot. If you need another reason for why I hate Principal Snyder, "Go Fish" is the perfect example. Regardless if we ignore Principal Snyder in the mix (who hated Buffy anyway), the way the administration treated her was deplorable. They made her (the victim) out to be the cause of the attack because they liked the star swimmer. And in this case, Principal Snyder was ready to lead that bandwagon to prove Buffy wrong; he would've stood on the podium proudly. Buffy the Vampire Slayer Season 2 Episode 20 connects perfectly to the conversation happening today in the real world. If social media were around in 1998 in Sunnydale when this happened, Sunnydale High would've been drowning in bad PR. Cameron, Principal Snyder and Coach Marin would've rued the day they ever crossed or blamed Buffy. At least she gave him a bloody nose for his unwanted advances. When Cameron was the next swim team member to go missing, it wasn't surprising from the overall plot direction. He was shown the most with his interaction with Buffy and we got the ominous bathing in the steam room scene. We were meant to know that he was next. From a character standpoint, take Cameron! He doesn't need to be seen ever again. Transforming into the Gill Monster was probably the best thing that happened to him. Xander's reaction to spotting the creature, and Cordelia drawing the sketch, had to be one of the comedic highlights of "Go Fish." They have an effortless banter that is missed with passion and frustration. You could tell Cordelia would've hurt Xander worse than the monster if he continued to make fun of her drawing. Willow: So we're looking for a beasty. Rupert Giles: That, uh, eats humans whole...except for the skin. Buffy: This doesn't make any sense. Xander: Yeah, the skin's the best part. Buffy: Any demons with high cholesterol? 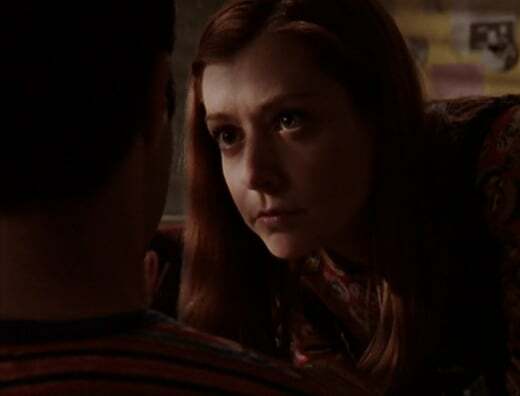 Buffy: You're gonna think about that later, mister, and you're gonna laugh. Permalink: Any demons with high cholesterol? If this were a detective show, like Law & Order: SVU or CSI, determining that Gage was the next target was a smart move. His qualifications checked every box and he seemed like the logical target. Though, the series of events that led to him BEING the next Gill Monster caused a bit of an eyebrow raise for its coincidences. Did Angelus wait to attack Gage BECAUSE he was interacting with Buffy? Was there a reason Gage was the next person to transform? Did he have more steam room visits? Buffy and the Scoobies were already tipped off about Gage's questionable blood. If Angelus wasn't going to feed on a healthy athlete, you know that something had to be wrong with the intended victim. It just seemed like this plot gift was given to them on a silver platter that helped explain the Gill Monster/missing swimmers conspiracy. Cordelia: So he spit it out? I thought Angel liked blood. Willow: Maybe his eyes were too big for his stomach. Buffy: Or maybe there was something in Gage's blood that Angel didn't like. Say, for example, steroids? Willow: That would explain all their behavioral changes. Cordelia: And their winning streak. Willow: So maybe whatever's in their blood is what's attracting this creature to them. Permalink: So he spit it out? I thought Angel liked blood. Were you impressed that Xander made the swimming team? I was a little surprised. He clearly worked for it and earned a spot to go undercover. He never gave off the appearance of having athletic prowess, so seeming him walk out onto the pool was an interesting plot twist. Xander could explore the places that Buffy and the other Scoobies could not. He actually had an essential role this time, so kudos to him for that character development. Though, it's still a shame that he didn't stick with it. Xander had enough talent to make the team. He could've earned a scholarship or had something on his transcripts to help his future. This was a missed opportunity. Gage's screaming was a little melodramatic. Neither Dode nor Cameron screamed out in that much pain when they transformed into the Gill Monster. What set him apart? Buffy was lucky that Coach Marin saved her in time. Those creatures looked ready to kill and they outnumbered her already. "Go Fish" made an interesting choice of using the classic steroids storyline and flipping it on its head. While this isn't a must-watch episode for your rewatch, it did change things with a supernatural twist. The steroids were what connected these missing team members together and having it in the steam didn't rely on the needle cliche. 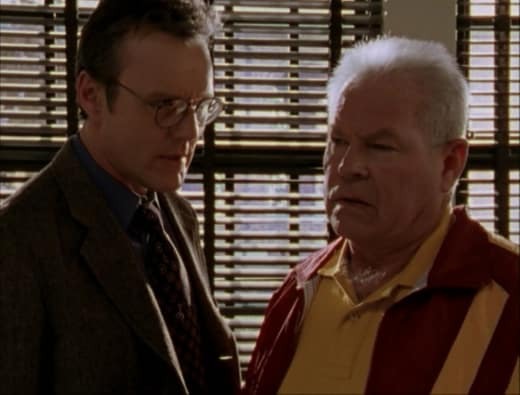 Also, having the steroids be in the steam answered the question that the faculty knew all about their drugging. Side-note: Did anyone else love the random teen heartthrob and future stars cameos? We had Shane West (Nikita, Salem), Wentworth Miller (Prison Break, Legends of Tomorrow), and Jeremy Garrett (Sweet Valley High) to name a few. Their appearance is like a who's who of which actors worked on Buffy the Vampire Slayer. Just wait until you see Amy Adams pop in! The same goes for the nurse. She would later appear on Two and a Half Men, but for now, she was simply fish food. Coach Marin was the obvious suspect for being the cause. He had access to the steam room, he was close to the team members, and he was desperate for a win. And, if we're being direct here, the reveal of the coach being the villain is a standard plot cliche. The Scoobies not suspecting him earlier was the bigger surprise. He had all the red flags. Did the coach know the swimmers could turn into the Gill Monsters? Did they know go back to him? 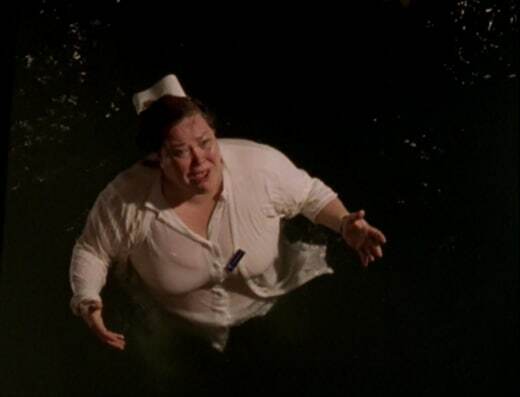 Why be contained in the sewer beneath the Sunnydale High pool? He was very forthright about the technology that gave the students exceptional swimming abilities. However, the loose ends continue to nag me, even now after another rewatch. Buffy: Tell me what's in the steam! Coach Marin: After the fall of the Soviet Union, documents came into light detailing experiments with fish DNA in their Olympic swimmers. Tarpon...mako shark...but they couldn't crack it. Buffy: And you did, sort of. Why? Coach Marin: What kind of question is that? For the win! To make my team the best they could be! Do you understand we have a shot at the State Championship? Buffy: Do you understand that I don't care? It's over. There's not gonna be any Swim Team. Coach Marin: Boy, when they were handin' out school spirit, you didn't even stand in line, did ya? Buffy: No. I was in the line for shred of sanity. Buffy: Which you obviously skipped. Permalink: No. I was in the line for shred of sanity. If you needed another reason to prove that Cordelia liked Xander a lot, just look to her monologue by the pool. She was ready to help take care of him if he had became a Gill Monster. Obviously that didn't happen, it was Shawn. But, for that brief fleeting moment, Cordelia removed all the pretenses of hiding her emotions and revealed her true feelings for Xander. This was a beautiful, heartfelt moment. And, what made it even better, there was a touch of comedy twist added to her speech. Could the Gill Monsters have reverted back to normal? Or, were they already too transformed into demons to ever go back? Buffy and Xander saving the day was expected; she was the Slayer and the coach had been killed by the creatures to pose any further problem. However, when the Gill Monsters took off to the ocean, it seemed like that wasn't an option either way. The doctors were placing the swim team on strict plasma transfusions after the encounter to reverse the curse. So, it does pose the question if that could've been a possibility for them too. I'm not sad to see any of the characters go; they were fodder in the grand scheme. 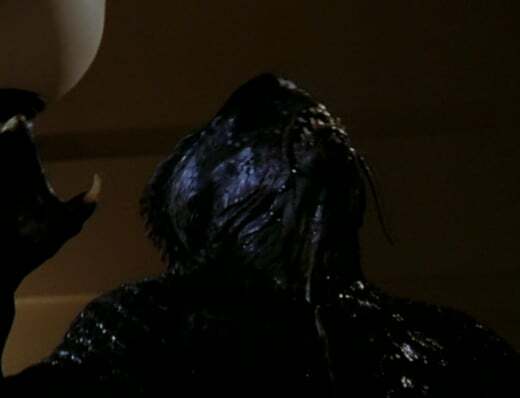 And the Gill Monsters were never seen again in the main Buffy the Vampire Slayer plot, so it worked out in the end. What did you think of "Go Fish"? Did you love all the '90s teen heartthrob cameos? Why did Xander quit the swim team?